For people fed up of their back problems, long waits and high cost of surgery in their native countries, cervical laminectomy and fusion in Spain, Europe is emerging as an increasingly viable option. 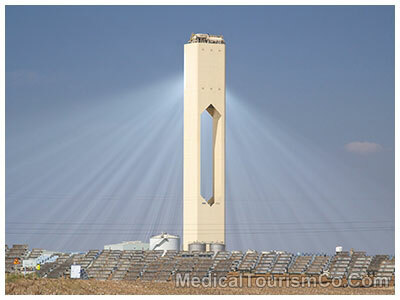 The last few years have seen medical tourism in Spain gain prominence and draw medical tourists from across the globe attracted by the reduced prices and quality medical care. As per the Medical Tourism Report for UK 2009 by the International Medical Travel Journal, Spain was the destination of choice for 7% of UK’s medical tourists. Undergoing cervical laminectomy surgery and fusion in Spain also gives the tourists a chance to experience the rich culture of this beautiful and vibrant European country. The World Health Organization (WHO) has ranked the Spanish medical system as being the 7th best in the world. With over 750 hospitals, 1.2 million beds and 450,000 doctors, cervical laminectomy and spinal fusion in Spain, Europe seems to be an extremely attractive option for medical tourists from Canada and America, tired of the long waits in their own countries. The surgery is conducted in the leading hospitals in the country by well qualified surgeons, many of whom have spent years in formal training before finally starting practice. Doctors in Spain have to train for 5-6 years before getting their degree in General Medicine and undergo training for an additional 5 years in order to specialize. Cervical laminectomy and spinal fusion in Spain costs a fraction of its value in the first world countries, without compromising on the quality of care administered. Spanish medical centers are also renowned for the excellent post operative care. Although undergoing anterior and posterior cervical laminectomy and fusion in Spain can be beneficial for patients looking for affordable options, yet there are a few pros and cons associated with surgery in the country which should be considered. Reasonable cost of accommodation and food. The National Medical Association in Spain has adopted Malpractice and Liability Standards set by the World Medical Association. Prices of certain medical procedures are higher than in other medical tourism destinations such as Asia and Middle East. Nurses in Spain do not feed the patient or provide personal care as provided by their counterparts elsewhere. Madrid – The capital city of Spain has a number of public and private hospitals offering a wide variety of medical procedures. Marbella – It has one of the major publically owned hospitals in Spain. First accredited by the Joint Commission International in 1999, the hospital has been re- accredited three times and provides a high level of medical care. Barcelona – It is home to the leading spinal centers in the country which specialize in invasive back surgeries carried out by highly qualified neurosurgeons using the latest equipment. Oviedo – It has a number of ISO certified medical and dental centers which offer value for money services. The relaxed entry and exit requirements in Spain make laminectomy and spinal fusion easy and convenient. Medical tourists arriving in the country from the EU nations do not require a visa to enter Spain. Proof of nationality such as passport or national identity card is sufficient. For patients from Africa, Asia and Middle East, obtaining a Spanish visa is easy and handy, simply requiring getting in touch with the Spanish embassies in their countries. Foreigners from the US and Canada can stay in Spain for up to three months without any visa entry requirements. Traveling to Spain for cervical laminectomy surgery and fusion is extremely convenient. There are a number of low cost airlines which cart people back and forth to Spain several times in a day. Additionally, trains from several European cities are also available. Medical tourists seeking posterior or anterior cervical laminectomy and fusion in Spain also get a chance to bask in the glory of the rich heritage of this beautiful country. There are a number of tourist attractions offering something to suit every palate. Madrid, the capital of Spain, is famous for its various museums and castles. The Sagrada Familia, parquet Guell with its Gaudi artwork and the rambling mountain of Montuijc are some of the main attractions in Barcelona. The street celebrations and parades held during Fallas in Valencia draw a number of tourists to the country around mid March. The Moorish fort of Alhambra in Granada is a must visit for all tourists to Spain..
Costa Blanca also offers tourists with a wide range of experiences not to be missed. 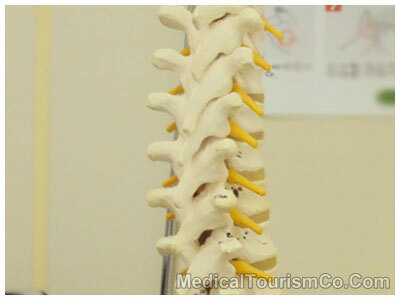 Cervical laminectomy and fusion in Spain can be relatively easy on the pocket and the entire experience can be bettered if tourists follow basic precautions while traveling in the country. It is advisable for tourists to stay informed of any security threats or terrorism in the country. People from America or Canada may call 1-888-407-4747, while those from other countries may call 1-202-501-4444 for regular updates on the scenario in the country. Avoid dressing like an affluent tourist and carry minimal valuables. To avoid problems in customs, keep medicines in their labeled original containers and carry the prescription at all times. Cervical laminectomy and spinal fusion in Spain is a viable option for those looking to quality and affordable healthcare abroad.